Plex has been around for quite a while, but it initially focused on helping you create your own Netflix or Hulu. This way, one could take a collection of their movies, music etc. and organize them in a Plex Server application. This local server would then be able to distribute your movies to any device that you have installed a Plex client app on, and would then convert it to the version required by that device and let you stream your media. This is alongside giving your updates, information and even downloading overviews and cover arts of the movies and TV shows you have added. Alongside this, Plex offers you the ability to stream media online. This is through channels that have a collection of all sorts of media and genres such as the ones you can get with Kodi (which is now facing a lot of crackdown). These channels are many and diverse, and they comprise both official and non-official ones. The non-official channels can be downloaded and installed especially from GitHub, and we have a Plex installation guide for you. Plex Channels offer content according to your desires and Tastes, and you can watch Live TV or your favorite films. 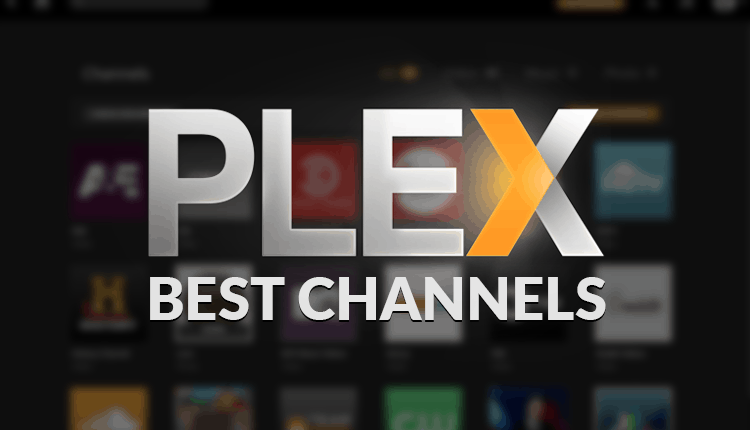 We have done a research and tested these channels, then compiled a list of the best channels that you can use to stream media on Plex. There have been significant crackdowns over the last few months on illegal streaming. This is due to the ISPs blocking users’ access to streaming sites, causing Kodi errors and streams not opening or constantly pausing. Depending on your location, media streaming may be illegal. You therefore first need to make sure that you have a good VPN before you get online. Without a VPN, your ISP will be able to log your online activities and access your information, which may lead to legal action against you. We therefore recommend you to use a trusted VPN like IPVanish to help you stay safe while at the same time helping you unlock geo-restricted content. BitTorrent for Plex brings you movies and TV shows available on BitTorrent sites. Although it is not an official Plex channel, BitTorrent has everything a channel needs to be our no. 1. It offers a huge movie and TV shows library with a well-organised catalogue. It also features 720p and 1080p HD video qualities. However, BitTorrent channels use the BitTorrent protocol to facilitate streams. Most ISPs don’t allow P2P client protocols and hence using this channel may seem to cause a complication. Thankfully, a good VPN will help you by-pass the ISP restrictions and enjoy your media. BringThePopcorn enables you to access a lot of popular Hollywood movies. There are many categories that you can choose your content from. It even has a list of movies that aren’t found in other channels such as older movies. If you’re looking to catch the latest movies or episodes, BringThePopcorn doesn’t do well in that. Their databases are updated after the TV shows, and movies have been aired. But if you have the patience to wait for the best and not just the latest, BringThePopcorn is your perfect plex channel. cCloud TV is popular among plex users as it offers not only live TV but also movies, TV shows, radio and most importantly Sports. The channel has a wide variety of TV and streams categorized by genre, language, and country. Through its UI, you can also go to the recent option easily. It also enables you to stream your custom channels via an m3u or a cCloud TV style URL/file. It’s among the best overall plex channels because of its live TV stream. You may have a few difficulties with some streams, but that’s normal with Live TV streams and cCloud’s quality makes it to this list. FMoviesPlus offers its movies to users in a classic manner. This channel sports high-speed servers which deliver 1080 HD content in its clean and straightforward UI. FMovies also provide metadata about its movies and TV shows and even other detailed information. All this is to enable you to create bookmarks easily. Search-impaired users are also taken care of with a Dumb Keyboard. SS-Plex gives you a promise that it lives by. That’s; a single collection of movies and TV shows collected and scraped all around the internet. This means you are going to get a broad category of quality, reliable streams of movies and shows. The best thing about SS-plex is that its content is updated automatically. You also get to watch the content on any Plex compatible device. You can also add favourites in this plex channel. This Plex channel gives you access to streams and live sports from the Canadian Broadcasting Corporation. It also features highlights and other popular content. It however has geo restrictions that only make it available to Canada based users. To watch its full episodes, prime-time dramas, news clip, talk shows and sitcom, you need to use a VPN with good servers. A VPN will bypass the restrictions, and you will access your content as if you’re in Canada. Apart from movies and TV shows, this Plex channel offers you the ability to watch some great American Football action from wherever you are. However, to access the content fully, you need the NFL game Pass subscriber. Avid lovers of the National Football league can get discounted NFL game pass at selected countries such as the UK. With it, you’ll even be able to watch past recorded games. If you don’t have the game pass, you can still catch up with interviews, stats, highlights, previews and other more content. Not only Football, but Plex also allows you to watch and live stream your favourite Hockey matches via the NHL channel. Like the NFL, you also need to have a subscription to NHL Game Center. A subscription offers added advantages such as live match customization, streaming archived games, classic and quality games. NHL Plex channel will allow you to watch regular game seasons, live out-of-the market games and also choose a broadcast between the home or the away team. If you have kids irrespective of any age, Plex has you covered. With the Nickelodeon and Nick Jr channels, your kids will be entertained all the times they want. You can also chill with them and catch up with SpongeBob SquarePants, Henry Danger, Nicky, Ricky, Dicky and Dawn, the Legend of Korra, Game Shakers and many more shows. The best thing, these channels feature both old and new episodes. Other shows also feature full episodes. 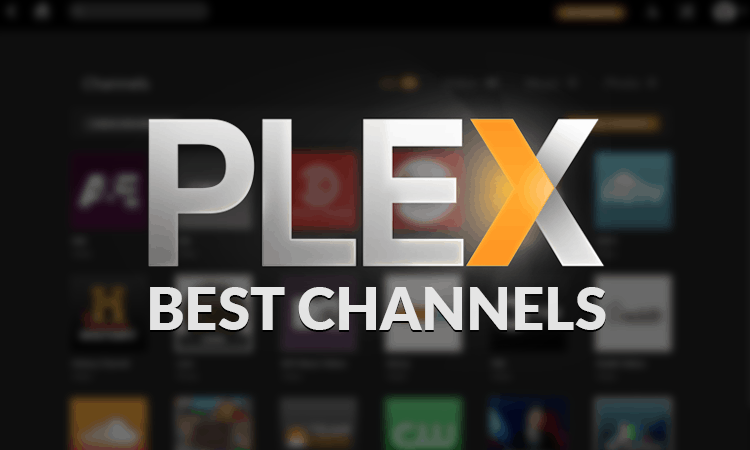 These are our picks of the best channels overall to use with Plex, and they’ll most likely live up to your standards. If you are looking for channels for a specific purpose, you can check out our other guides; Best Plex Channels for Sports, Best Plex Channels for movies and Best Plex Channels for kids. You can let us know your favorite channels in the comment section below.